The kitchen is one of the most important rooms in the house. It's the heart and soul of a home, where families gather over morning cups of coffee, afternoon sandwiches and evening dinners. It's where they share their heart aches and their triumphs, where they entertain and cook for friends and where the family can come together at any point in the day. This is why it's so important that your kitchen has some personality and charm. Often this is overlooked in the decorating process, but it shouldn't be the case. 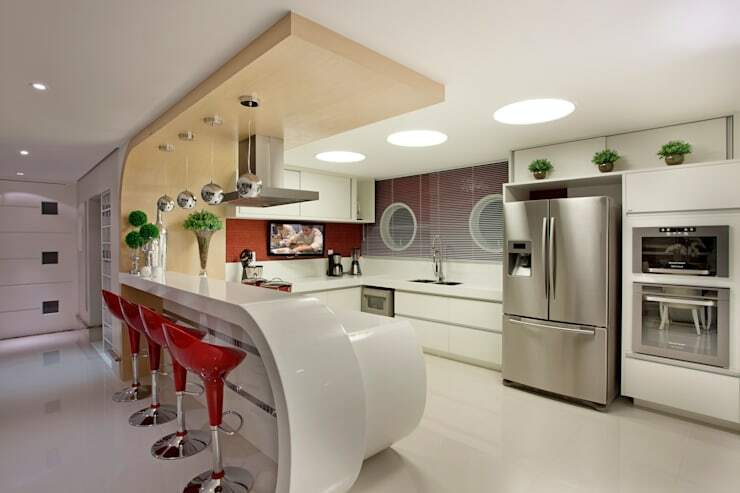 The kitchen should be one of the most pivotal rooms in the house when it comes to design and decor. 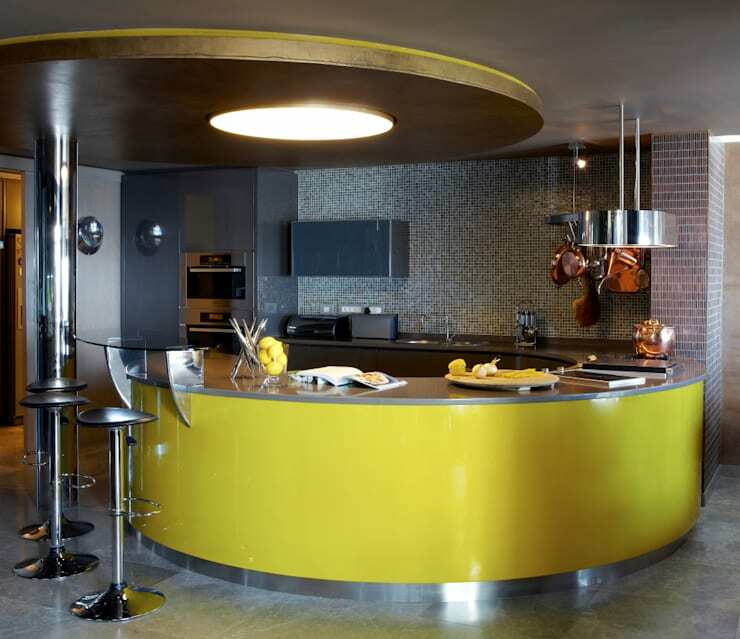 Today, we at homify are going to show you 11 smart ways that you can add personality and charm to your kitchen. You will see just how easy it is to create a far more vibrant space with a little touch here and there. The below tips will not only ensure that your kitchen is the room in the house that the family never wants to leave but that the neighbours and all of your friends want to stay there too! Creating a kitchen that is packed with personality and charm doesn't have to cost an arm and a leg. Invest in wall art, where you can choose from a variety of vinyl stickers including quotes, artwork and patterns. 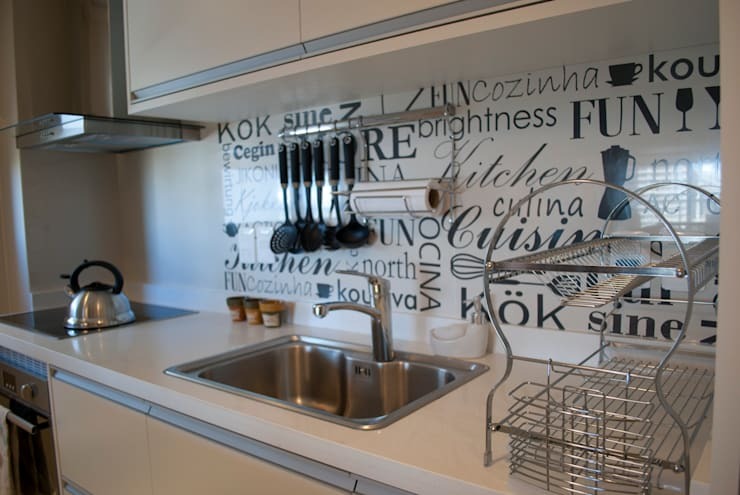 Stick them up in just a few minutes and you'll have a kitchen that is completely unique. The best part? As soon as you get bored, you can just take them down! Lighting creates ambiance and even romance in a home, which is not to be overlooked in a kitchen. 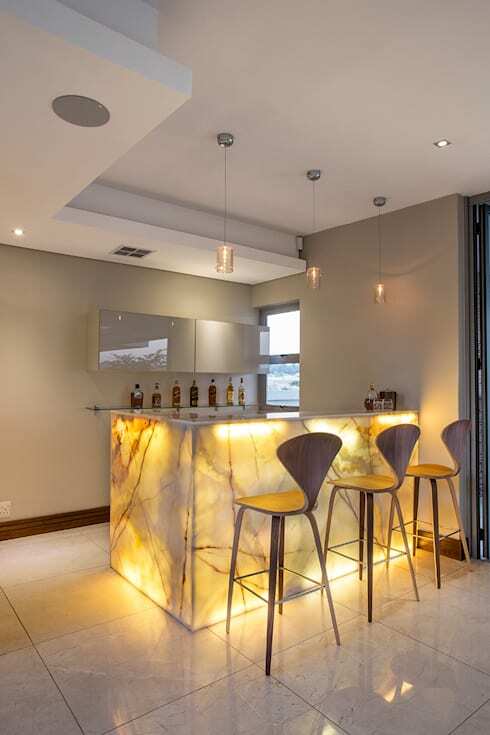 As we can see in this design, lighting can enhance the detail of your kitchen walls, floors and counter tops. Invest in small lights that illuminate certain aspects of the kitchen rather than bright, florescent lights in the ceiling. In fact, kitchen lighting is a wonderful way to merge function and charm. 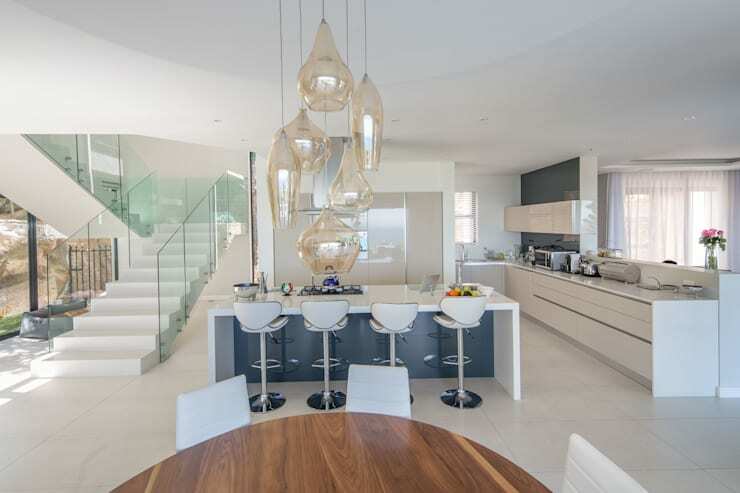 In this design, the professionals have installed quirky yet elegant glass lampshades of different shapes and sizes, which drop down over the kitchen table. Not only does this allow diners to see what they are eating, but it adds a quirky twist to the design of the space. 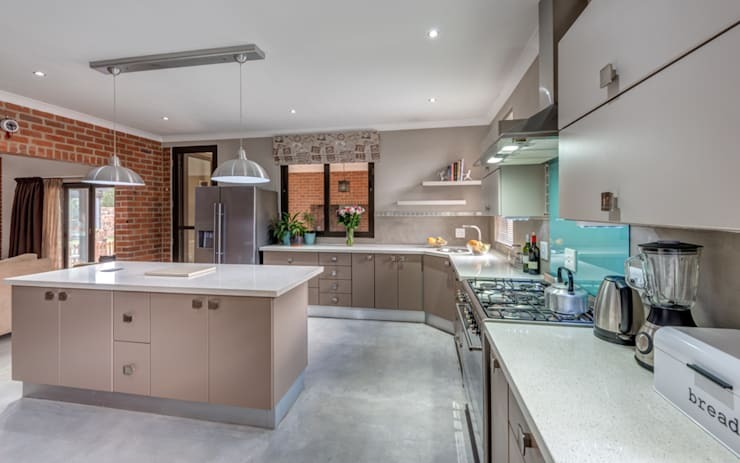 One of the best ways that you can enhance your kitchen and bring in a natural and authentic charm is to ensure that there is plenty of ventilation, natural light and a touch of the outdoors. 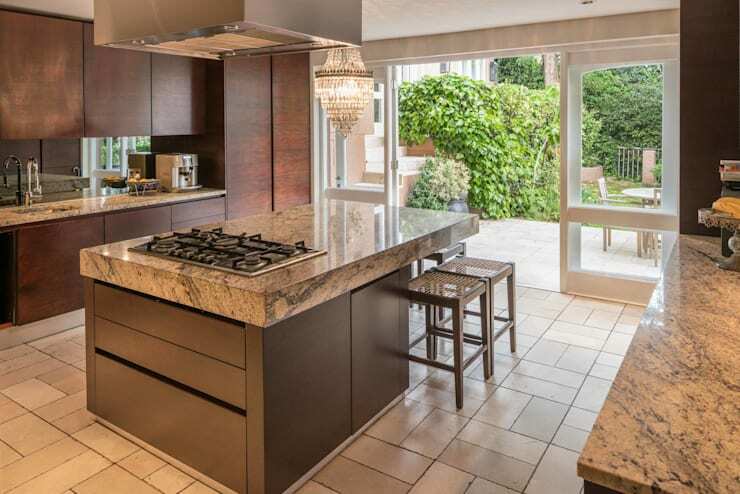 In this image, we can see how the designers have installed a large glass door, which folds back, allowing the kitchen to spill out onto the patio space. Immediately the kitchen looks that much bigger and that much more inviting. Don't be afraid to add some retro charm to your kitchen in the form of colourful counter tops, unusual shapes and interesting designs. 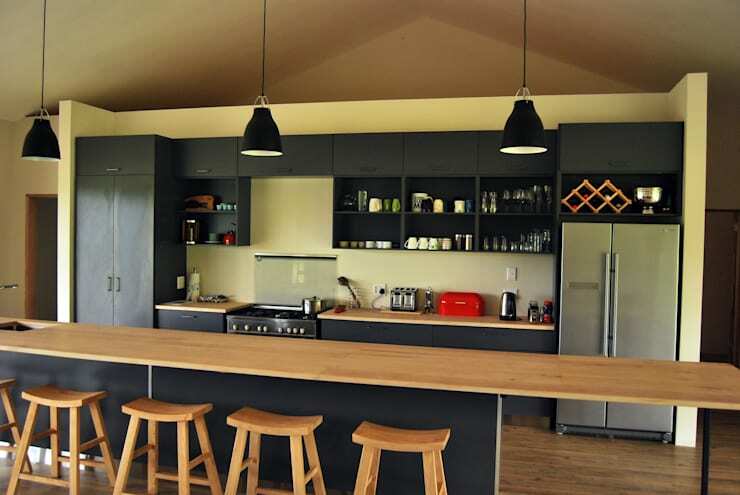 If colour and quirk is not your style, opt for a simple and minimalist kitchen. Sometimes simple is stunning! Choose a neutral colour palette, plenty of natural light and keep only the most functional of items out on display. 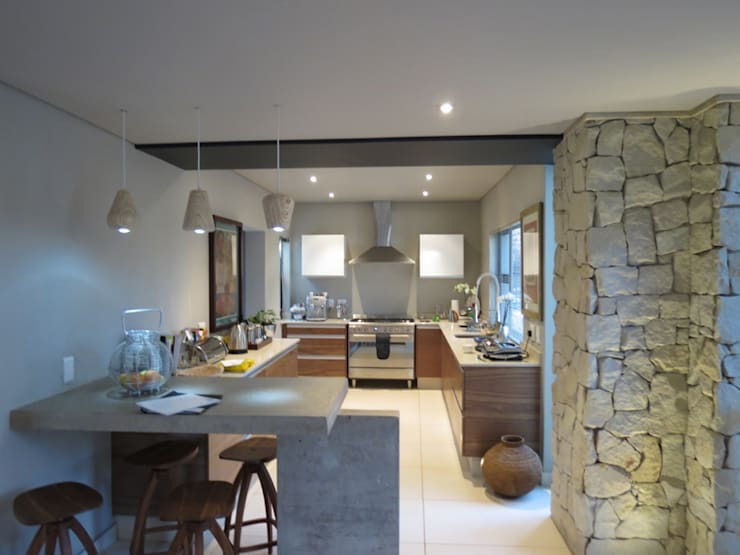 Add an earthy charm to your kitchen by including a stone facade or some wooden finishes. Tiling is one of the most cost-effective ways to enhance the look and feel of your kitchen. Not only are tiles reasonably priced but they come in so many different colours and patterns, that you can truly reflect your own unique personality throughout this space. Build a little breakfast bar in your kitchen, where the family can come together over a more casual meal or a cup of coffee. This will open your kitchen up onto the rest of the home and create a comfortable seating area. It also means that family and friends can chat to the chef while she or he cooks up a storm! 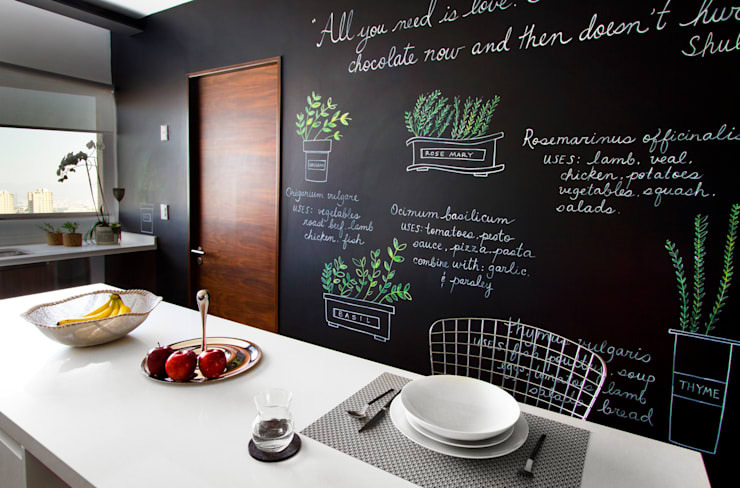 By painting one of the walls black in your kitchen, you instantly create a chalkboard effect. This allows you to write up recipes, shopping lists or even your favourite quotes on your kitchen wall, transforming it into your own private little hub. The whole family can partake too! 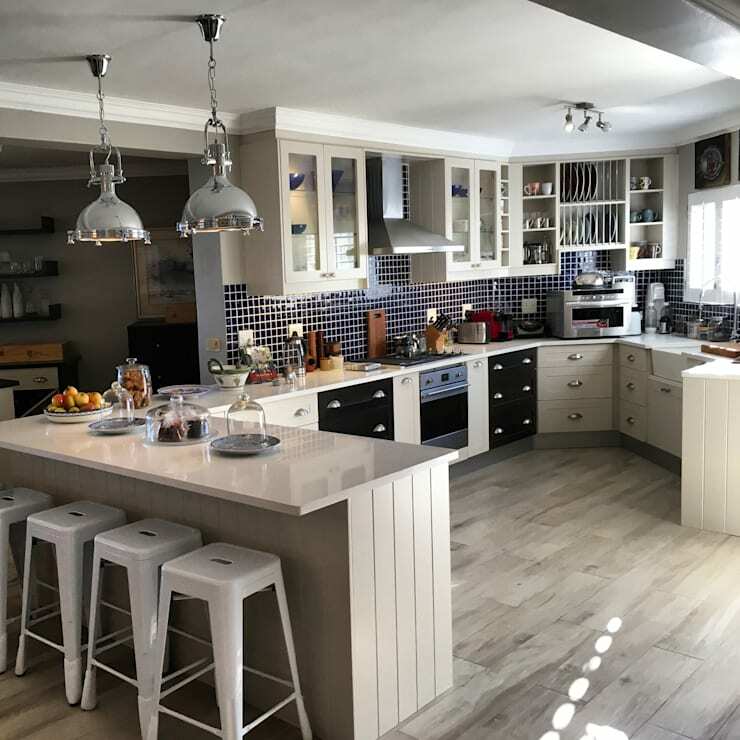 Another very trendy design for your kitchen is to go for an all-white design and then add in a splash of colour, like we can see in this image. Red is quite an effective and stark contrast, while black also works by introducing quite a classic theme. If you prefer an all-white kitchen, however, you'll love these: 10 all white kitchens! Which tip or trick will you be implementing in your home?